Baxi has expanded its 600 range with the launch of three new models. With the introduction of the new Baxi 600 System, Baxi 600 System LPG, and Baxi 600 Heat boilers, installers can offer householders even more solutions to suit their specific needs. These new models enjoy the same features as other Baxi 600 Combi models, including brass fittings, light weight and compact cupboard fit, alongside further benefits. Fully modulating and available in 15, 18 and 24kW outputs, the Baxi 600 System intelligently uses the right amount of fuel to meet central heating temperatures, saving money on fuel bills and ensuring high levels of efficiency. Its dedicated 24kW Baxi 600 LPG model is also suitable for homes without mains gas. The Baxi 600 System also features a central top flue and is available with an extensive range of flue options, allowing for greater siting flexibility and easier replacement. Additionally, a built-in drip tray provides protection against water ingress that may come through the flue in extreme weather conditions. Because of its low 28kg lift weight and compact design suitable for installation in cupboards as small as 290mm deep, Baxi 600 System models are easy to fit. 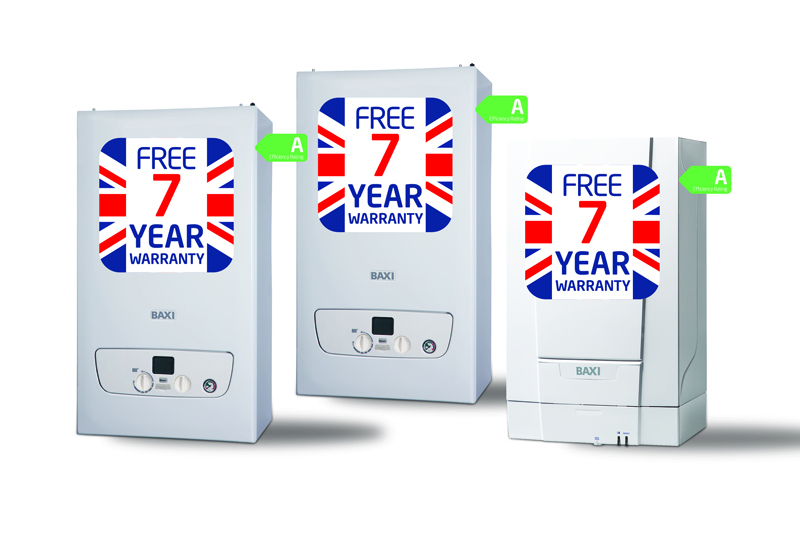 Combined with its seven-year warranty and front access to all components for easier servicing, the boiler offers peace of mind to installers and householders alike. The Baxi 600 Heat is even more compact, and at just 19.5kg is reported to be the lightest boiler available in the UK. Suitable for fully pumped open vent or sealed systems and featuring an easy-fit wall-mounting bracket, it also offers great installation flexibility. Available in 13, 16, 19, 25 and 30kW outputs, the Baxi 600 Heat is very quiet in operation, offering minimal disturbance during use. It features the same adaptable central top flue design as the Baxi 600 System, and with front and side access to all components can be serviced quickly and easily without special tools. The Baxi 600 Heat does not require a pump overrun due to the heat exchanger design with less thermal mass, which allows for quicker heat dissipation. These exchangers react quicker when the boiler is turned off, removing the risk of boiling water. With no need for a pump overrun, no permanent live is required to power it either. As a result, installers can save time and money during installation, as they do not need to lift carpet and floorboards during installation and make good afterwards. This also means less disruption and inconvenience for the householder.